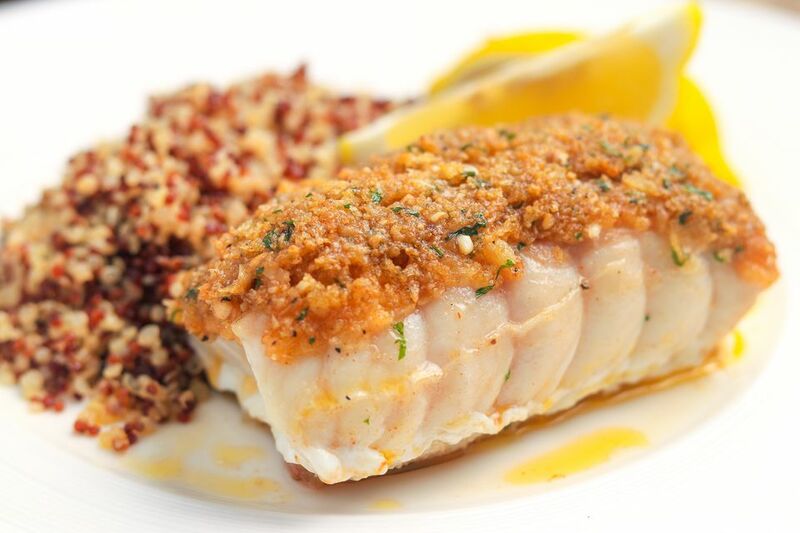 This easy red snapper recipe is baked with a simple combination of garlic, butter, seasoned bread crumbs, and Parmesan cheese. The American Heart Association recommends eating a variety of fish at least twice a week, and red snapper recipe is an excellent choice for a healthy diet. While it is not as high in omega-3 fatty acids as others, it is a good source. Some good substitutes for red snapper in this dish include haddock, pollock, black cod, or striped bass. This red snapper recipe is easily doubled or tripled for a family meal. Place snapper fillets in a baking dish which has been sprayed with a butter-flavored nonstick cooking spray. In a skillet, melt butter with garlic, Worcestershire sauce, Creole seasoning blend, pepper, parsley, and chives, if using. Cook over low heat for 2 minutes, just to blend flavors. Brush both sides of fish fillets with the butter and herb mixture. Toss the breadcrumbs with the remaining butter mixture and Parmesan cheese, if using. Sprinkle the breadcrumbs over the fillets. Bake in the preheated oven for about 12 minutes, depending on the thickness of the red snapper fillets. The fish will be opaque and flake easily with a fork when done. To test fish for doneness, insert a fork into the thickest part of a fillet. It should flake easily. Use another mild white fish in the recipe. Tilapia, haddock, pollock, and cod are good choices.